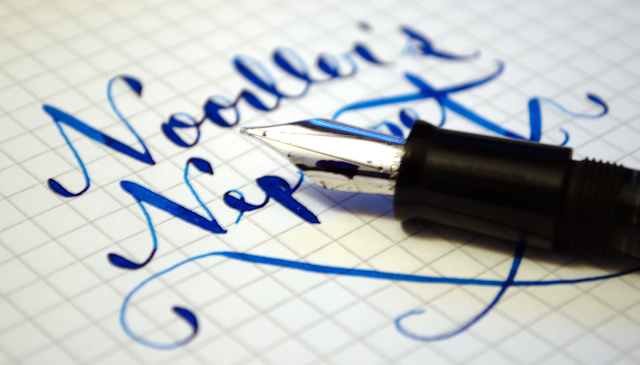 My Noodler's Neponset arrived yesterday, so here are a few quick pictures. The Vishnu Victory nib is very flexible, but extreme force is required to show any variation; and railroading is all too common. 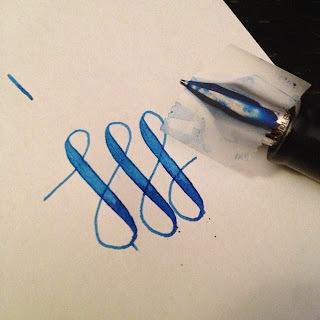 One trick to solve these problems is to add tape over the nib. 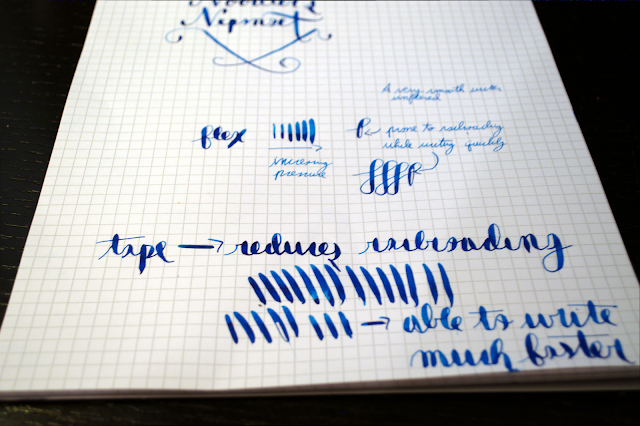 The tape acts as an overfeed, increasing the nib's wetness drastically. With this modification, the Neponset becomes a pen I highly recommend. 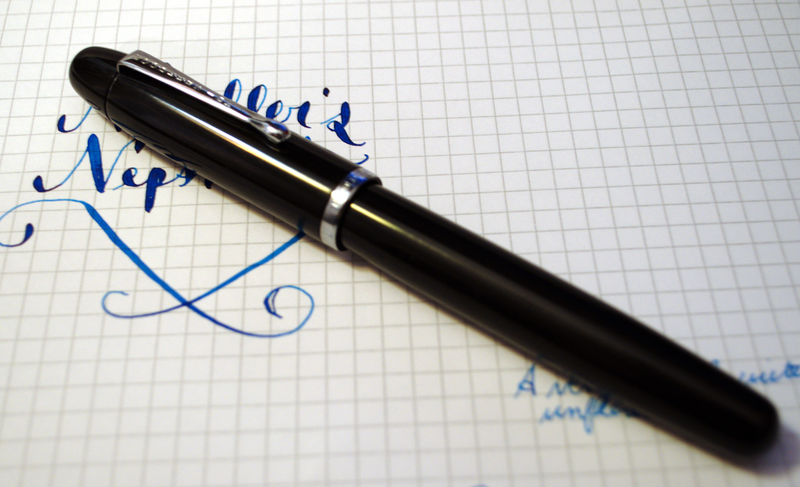 Even though I've only owned this pen for about twenty-four hours, I still recommend it if you can find one.